These two panels originally formed the wings of a triptych, the center panel of which is now lost. 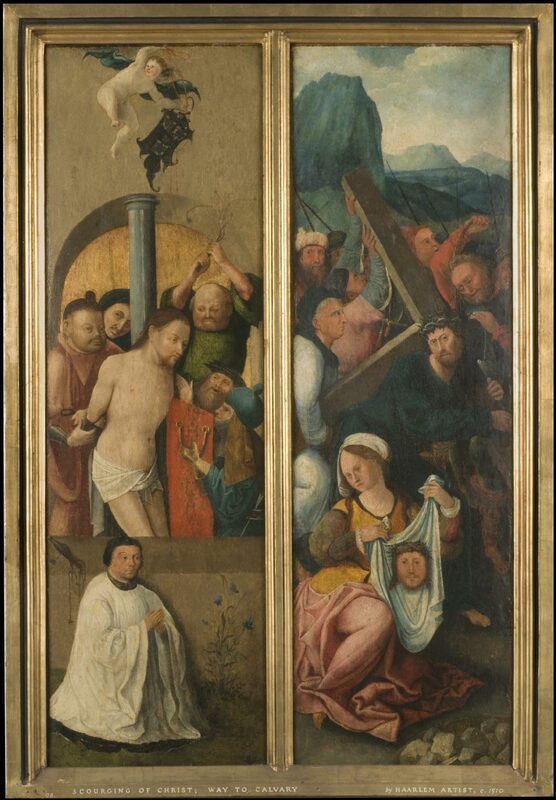 The donor who commissioned the triptych is shown kneeling at the bottom of the left-hand panel. The scenes are based on works by Bosch. On the right, Saint Veronica holds the sudarium, or veil, that she pressed against Christ's face at this moment during his Passion (the events leading to his death on the cross). The image of Christ's face that miraculously appeared on the veil was known as the Vera Icon (true image), from which the saint gained her name.